The global buzz around sustainability has grown rapidly over the last few years and research shows it is only likely to increase. At the same time, governments and companies are increasingly using the 2015 Paris Climate Agreement and UN Sustainable Development Goals (SDGs) to guide their sustainability work. More than 9,500 companies have joined the UN Global Compact in support of the SDGs. There is also a business commission for sustainable development, consisting of key industry leaders aiming to make the business case for achieving the SDGs. A joint report by WWF and the ISEAL Alliance illustrates how sustainability standards can help accelerate progress on many SDGs, while delivering direct benefits for companies and small-scale producers. Furthermore, number of countries that signed up to conduct a voluntary review on progress towards the SDGs at the UN’s High Level Political Forum has almost doubled to 43 countries in the last year. Sustainability has also increasingly become a matter of legal obligation in countries like the UK, the US and France. And there is more regulation just around the corner. Today’s consumers have technology and social media to show them what is really happening at the origin of their products. As a result, many companies are turning to certified sourcing programmes as one of the key tools to achieve their sustainability goals and to help them demonstrate independently verified results. Several large companies are sourcing 100% certified commodities already. However, as the Economist Intelligence Unit recently reported, while four in five companies say they have responsible supply chains, fewer than a quarter are actually addressing key issues such as climate change or child labour. In fact, 30 per cent have decreased their focus on supply chain responsibility over the last five years. I would like to see more commitment from business, not less. Customers are also increasingly likely to look for a brand that better aligns with their values. A recent global study by BBMG and GlobeScan revealed that for the first time since 2009, more consumers say they have punished companies for their behaviour (28 per cent) than have rewarded them (26 per cent). While accountability is core to helping businesses ‘walk the talk’, it’s often unclear for companies which tools to use to get the sustainability results they want, or how to use them effectively. The Accountability Framework, an initiative being developed by a coalition of leading environmental and social organisations (including the Rainforest Alliance), will provide a clear pathway for companies on the sustainability journey – including key milestones and benchmarks to evaluate their progress. Supply chain partners and consumers continue to ask about the unique value proposition of certification. Certification can offer deep supply chain insights that are hard to otherwise achieve. 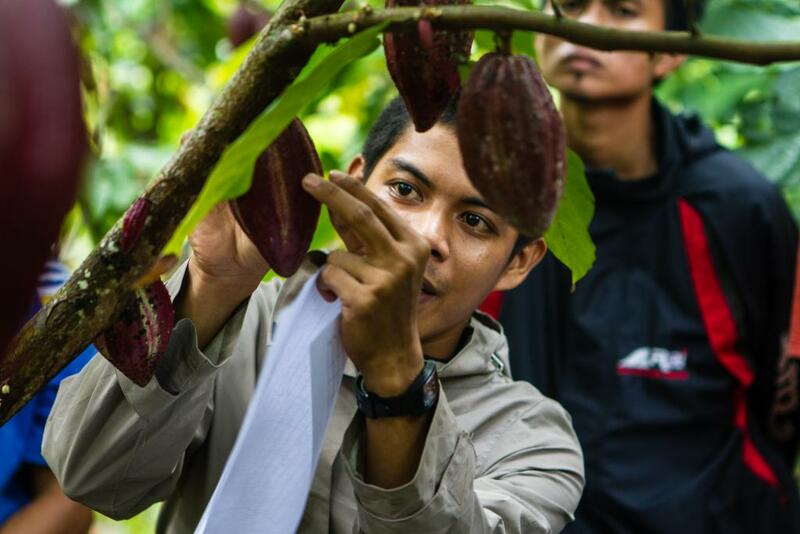 The connection certification creates along the supply chain, bringing farmers and workers together with markets and civil society is unique, and results in positive impact for farmers and the environment – as numerous independent studies confirm. It offers a level of transparency that few other systems do. And it all forms the basis of a fully scalable system that engages both farmers and companies. Certification requires continuous improvement, and it’s true that different elements have different impacts and challenges. And, of course, no label can offer a 100 per cent sustainability guarantee, because it’s impossible for any viable global system to monitor every producer 24 hours a day, 365 days a year. Furthermore, certification alone cannot solve the many systemic sustainability challenges producers faced. For example, international commodity prices and market fluctuations will continue to be the biggest factors affecting their incomes. But certification supports farmers with knowledge, training and opportunities to increase their income through more sustainable agricultural practices, and by becoming more efficient and better connected. Certification is the most effective at catalysing sustainable transformation when implemented within a larger context of collaboration between companies, NGOs, governments and others. Partnerships and collaborations are the key to address major sustainability challenges and producers rightfully demand to look at sustainability from a more holistic angle, to consider the cost of production and access to finance for necessary investments. Several important collaboration platforms have emerged. The most recent ones are The Cocoa and Forests Initiative, and the Kenya and Uganda Coffee Platforms (supported by the Global Coffee Platform). The latest example is the January 2018 merger of UTZ and the Rainforest Alliance. In 2019, we will publish our new, unified certification program, building on the best of the current UTZ and Rainforest Alliance systems. Streamlining the certification process will help the 1.9 million farmers we work with—especially the 182,000 cocoa, coffee and tea farmers currently certified under both standards—and new farmers alike. They will be able to invest more efficiently in sustainability, avoiding a double administrative load of working with two standards and certification systems. I hope this will be the beginning of a new consolidation trend in the sustainability standards sector. I also hope to see a trend of collaboration not only within sectors, but also across them. There is a huge opportunity to link different commodities at field level (many countries grow both cocoa and coffee for example), and this is something that the merged Rainforest Alliance will explore in the future. Digitised data is providing big opportunities for innovation. Mobile apps and drones are already making it easier to map and better understand sustainability challenges and address them in a more targeted way. This is changing the way some audits are carried out. Sustainability certification programmes in the medium term will have to master data management. Data is the key tool to driving interventions for positive change. At the Rainforest Alliance, we are piloting the use of drones to collect additional information on farming landscapes, and to compare data from third parties with the data gathered by these drones. Furthermore, technology can be effectively used for training and raising awareness among producers. Early last year the Rainforest Alliance launched its Farmer Training App, allowing farmers across Africa, Asia and Latin America access to training modules and videos, and to connect with other farmers to share best practice. Meanwhile, blockchain is already making its mark on food supply chains. For instance, Provenance, a UK start-up, uses blockchain to trace the origins and journey of products such as tuna and coconuts. It is important to keep in mind, however, that all new technologies also present challenges. Accessing data from supply chains in some sectors remains difficult, as many products are grown in countries with data-poor systems. And without significant buy-in from the governments concerned, it will be hard to implement some of these modern technologies. And privacy remains a challenge: all data management must respect the personal details of individuals, confidentiality of commercial data, and data security laws and best practices. These are big challenges, but by working together and utilizing the expertise of different industries, they are surmountable.